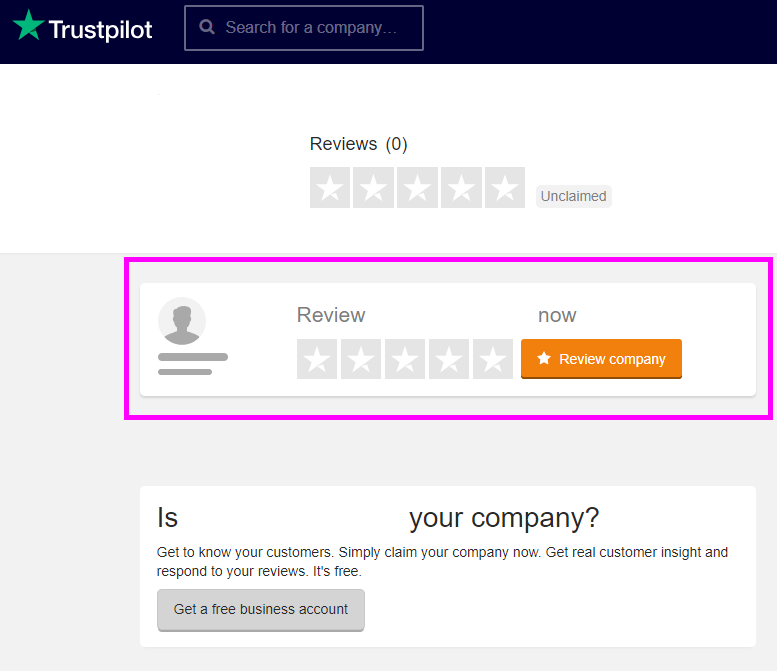 When deciding to write a review on Trustpilot, you may find that the company you want to review isn’t listed yet. Take the initiative and be the first one to leave a review. On Trustpilot's website, enter the company's name in the Search field. On the results page, select the +Add new website link. Enter the company's web address in the website field, for example www.thisismysamplecompany.com, then click the Add website button.Note: You don't need to include http:// or https:// in the website field. Select the number of stars you want to give the company. On the Review page, write your review. 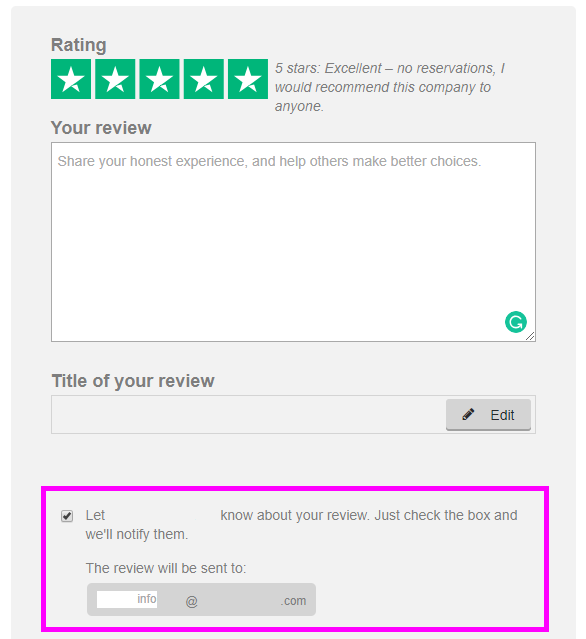 When you've finished, select the Let (company) know about your review check box, and enter the company's email address. This lets the company know that you've reviewed them, and they'll appear on Trustpilot. Note: Companies must have a website in order for you to review them. Sorry, but you can't review that kiosk around the corner unless they have a website (even if they make the best sandwiches ever).